When riding, we have only a few points of contact with our machines: the pedals, grips and the saddle. With so much depending on those points of command, it's no surprise many of us have go-to styles or models for those bits. 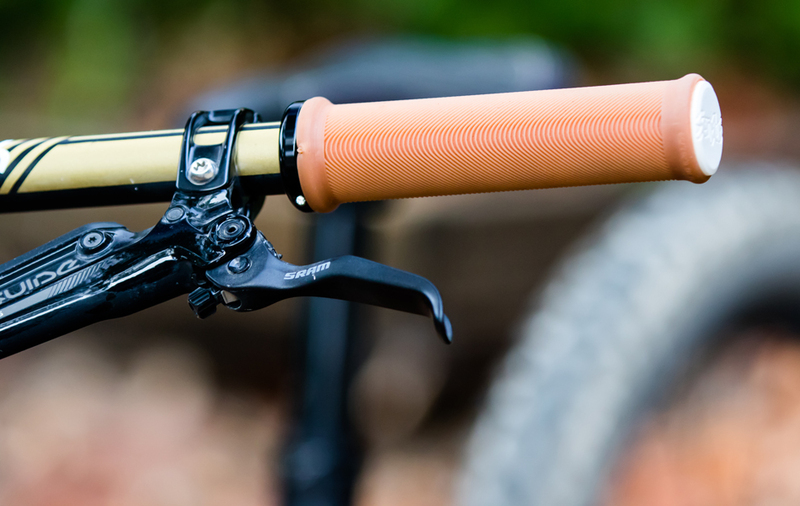 For grips, I lean toward the slim-diameter locking variety, and once I discover a model that meshes with my mitts I slap them on everything from my 29er to my DH bike. 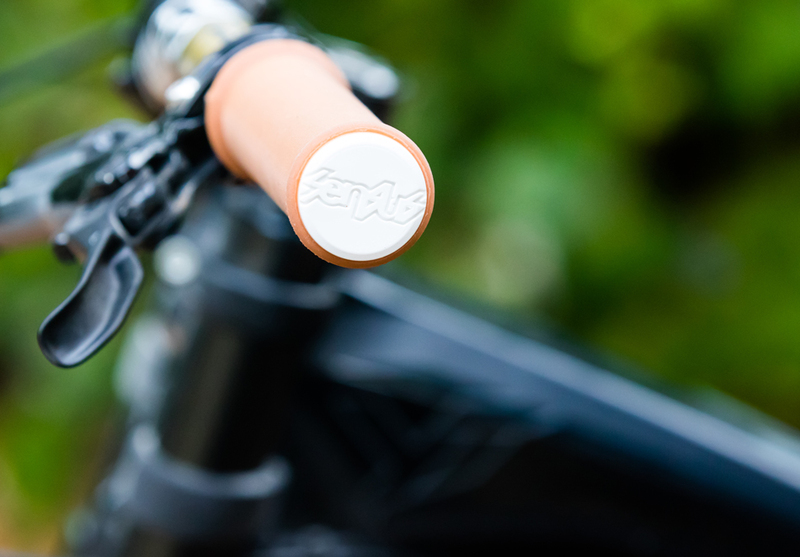 I prefer a grip with a single inboard lock ring, allowing the rubber to extend to the end of the handlebar. This style of construction is precisely why the new Sensus Lite grips ($28) caught my attention. Sensus is based in Reno and their grips are made nearby by ODI in California. Those familiar with the Sensus line will recognize the cushy, mushroom-like grip pattern. However, the Lites feature tighter and shorter ribbing to reduce the squirm or float sometimes felt on grips of that style. "For the pattern, we decided to not mess with a good thing and went with the original Swayze grip style," explains pro rider and Sensus Grips founder, Cam Zink. "We tightened up the pattern with smaller ribs and the gaps between them to achieve incredible grip, less float, and still provide excellent vibration damping and comfort." The new grips weigh 1.6 ounces each and are 123 millimeters long from end-to-end of the rubber section. They come in red, black and gum colorways. One of the drawbacks of this style of grip is how the end of it can get knurled, sliced, and shredded during regular wear-and-tear or from a slide-out. The Lites cleverly address this issue with an integrated plastic end cap to give them a bit more longevity, and to keep them from taking any core samples from your midsection. The rubber rises slightly into short flanges on each end to provide a tactile indication of the grips’ limits. This might sound odd, but comfort often takes a backseat to performance. With my previous grips of choice, I'd position them so the underside grip pattern didn't line up awkwardly with my fingers, and then hope they'd hold up reasonably well through routine trail-induced thrashings. The Lites’ pattern of short ribs provides excellent traction. The ribs also give a noticeable level of vibration damping when white-knuckling down a rowdy trail. The single lock ring does a fine job of securing the grips in place, partially thanks to the rubber strips built into the inside of the non-locked side that help prevent it from twisting. The impressive attribute, and the one that sets them apart from many lock-on grips I've used, though, is that they're comfortable.